All games are born differently, and all game companies have different approaches to creating games. 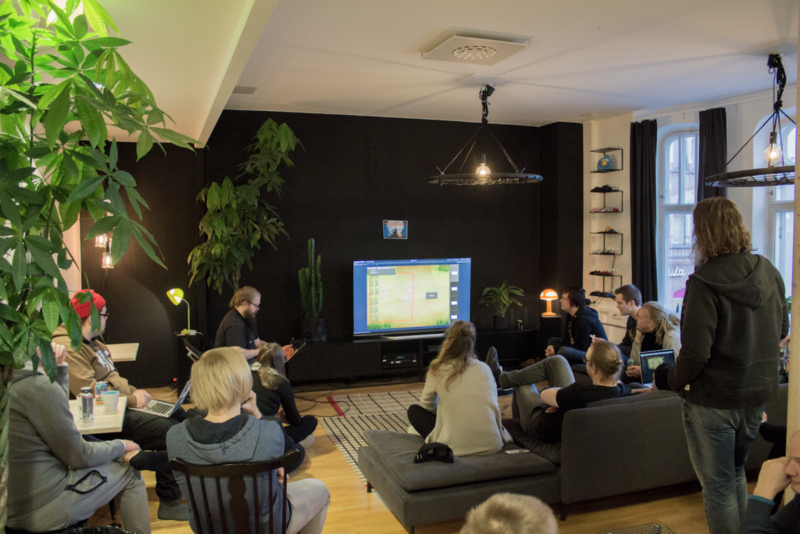 At Traplight the process of getting new, exciting games out there relies on the creativity of the whole Traplight community, constant evaluation of the current market trends and our key development guidelines. Does the idea innovate something? Does it innovate too many things? Which aspects of the idea are already proven by current, successful F2P games? How much time would it take to test the new, innovative part of the concept? What is the size of the core and meta game at their simplest? What kind of social validation, community, creation or enhanced player autonomy features does the game have? If the idea feels coherent and tightly packed with both proven and innovative aspects, and it has a solid take on our product vision, it might be green-lit to the next step: pre-production. During the 1 or 2 week process the pre-production team turns the idea into a game concept. The team answers questions about the core game, player progression, fantasy, target audience and other things that will help them achieve coherent game design. The design document has to also provide a plan for first playable, Alpha and Soft Launch versions. After the preproduction process the newly born concept is presented again to everyone. There is another round of feedback and if the plan seems solid and there are resources to start production, the game concept has a chance to be green-lit into production. First Playable. This is the first version of the game that works and is meant for internal testing only. Big key features can still be missing, but the fun factor should already be there. Alpha builds. The first Alpha version is the first time the game is tested with external people. First alpha tests D1 and interest, and the later alpha versions focus on D1-D7 retention. Soft Launch. Where as Alpha versions focus on retention, the Soft Launch version already has monetisation in, and during Soft Launch the team focuses on optimising long-term retention and player LTV. During production the project needs to meet certain goals and targets that we have set for our games. If it fails to do so, it might be killed at any point. We have noticed that killing projects as soon as warning signs arise is a much better option than keeping teams honing something that doesn’t meet our expectations. During 2017 and the beginning of 2018 we’ve presented and evaluated 20-30 game ideas, and of those 7 moved to pre-production, and 3 have moved to production. The funnel is improving all the time as we learn more about what kind of ideas have a seed for greatness and how to make each step of the funnel more efficient. We already have had a couple of first playables in internal testing, and one game currently in Alpha launch. As of now, Big Bang Racing is our only global live game, but we are looking forward to seeing our new projects reach Soft and Global Launch soon in the future.